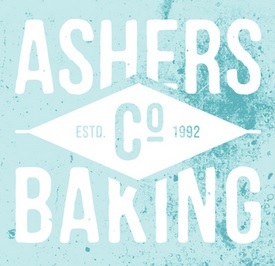 Earlier this year the UK Supreme Court heard the case of Ashers Baking Company, who were appealing against a ruling which stated that it broke the law by declining to fulfil an order to decorate a cake with a campaign slogan promoting ‘marriage’ between homosexuals, which was deeply offensive to the management who are sincere Christians. The ruling, handed down on 10 October 2018, saw the judges unanimously vindicate the bakery. It is a victory for freedom of expression. This means it is a victory for the freedom to express our faith, and to live by that faith – competing ideologies notwithstanding. On 8 or 9 May 2014, Mr Lee went into the shop and placed an order for a cake to be iced with his design, a coloured picture of cartoon-like characters “Bert and Ernie”, the QueerSpace logo, and the headline “Support Gay Marriage”. Mrs McArthur took the order but raised no objection at the time because she wished to consider how to explain her objection and to spare Mr Lee any embarrassment. Mr Lee paid for the cake. Over the following weekend, the McArthurs decided that they could not in conscience produce a cake with that slogan and so should not fulfil the order. On Monday 12 May 2014, Mrs McArthur telephoned Mr Lee and explained that his order could not be fulfilled because they were a Christian business and could not print the slogan requested. She apologised to Mr Lee and he was later given a full refund and the image was returned to him. I want to start by thanking God. He has been with us during the challenges of the last four years. Through the Bible and the support of Christians, He has comforted us and sustained us. He is our rock and all His ways are just. We’re delighted and relieved at today’s ruling. We always knew we hadn’t done anything wrong in turning down this order. After more than four years, the Supreme Court has now recognised that and we’re very grateful. Grateful to the judges and especially grateful to God. We’re particularly pleased the Supreme Court emphatically accepted what we’ve said all along – we did not turn down this order because of the person who made it, but because of the message itself. The judges have given a clear signal today. In fact it couldn’t be clearer. Family businesses like ours are free to focus on giving all their customers the best service they can – without being forced to promote other people’s campaigns.